Excuse me, but do you mind folding that receipt just a half an inch higher next time please? That’d be great, thanks! This is a common example of an email you might receive from Pam. She wears a few different hats that include accounting and HR, so being “By The Numbers” is sort of what you’re looking for in those departments 🙂 Need to know how many PTO days you can burn before the end of the period? Pam can tell you exactly how many days you’re allowed to be “sick” next week. 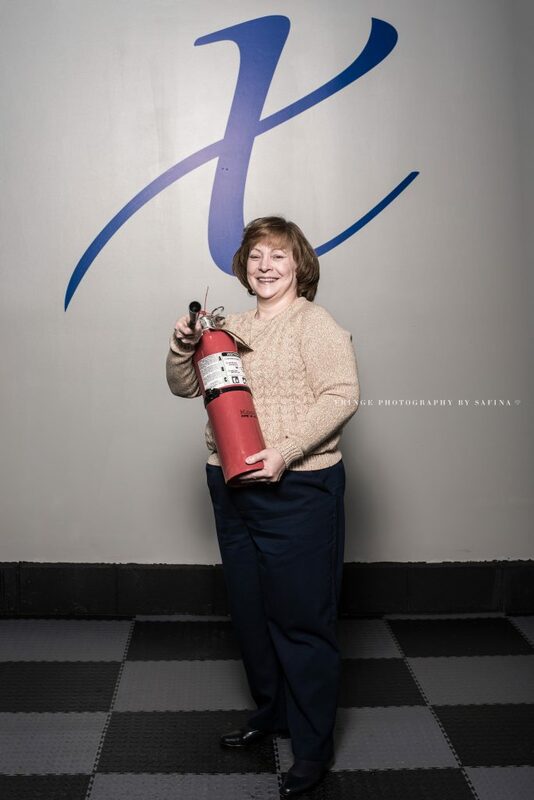 Oh, and that fire extinguisher… she uses that bad dude… every… day. She might look sweet and innocent, but she will smother your fire right now. Get it Pam, get it. Favorite Game: Winning Euchre. No one goes home till I win.